A scoping study for Potash West NL’s (ASX:PWN) Dandaragan Trough potash project in Western Australia shows it could generate over A$200M EBITDA per year over a 20 year mine life. Margins are strong, with estimated average cash costs at A$40 /tonne of ROM ore, and estimated average revenue is A$91 /tonne. 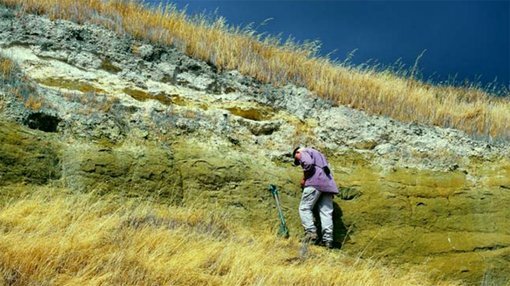 The Dandaragan Trough holds a globally significant deposit of greensand, made from both rock phosphate and glauconite, a green mineral that contains potash, iron, aluminium and magnesium. All of these minerals are in high demand as agricultural fertilisers, and PWN’s plan is to both mine and produce products, including potash, to service this global market. PWN has released previous Scoping Studies for its Dandaragan Trough project, however these considered stand-alone developments for the rock phosphate and glauconite deposits. The newest scoping study evaluated PWN’s project as a single staged-production project where both materials are extracted by the same operation, utilising PWN’s K-Max production technology. It projects that a 20 year mine can be established at the Dinner Hill resource, which includes an indicated resource of 120Mt at 2.8% P2O5, 3.1% K2O and 8.2% CaO. The phosphate deposit at Dinner Hill lies directly above a glauconite resource, and the Scoping Study demonsrates that phosphate can be mined and produced in the first three years of the mine life with a glauconite processing facility set up in the fourth year. The scoping study says PWN can have a 4.2Mtpa operation at Dinner Hill with $380M of revenue per year and $168M of operating costs – leaving EBITDA of $212M per year over 20 years, and operating revenue of A$91 a tonne. Estimated average cash costs are A$40 a tonne. PWN’s Managing Director, Patrick McManus, says putting two resources together offers many advantages. “The Stage 1 Capital requirement is $136M and a significant amount of the Stage 2 Equity financing could be funded from operating cashflows,” he says. “It is important to note that the resources underpinning this model are based on 10km2 of the Dinner Hill project area. Within the 60 km2 of Dinner Hill an exploration target between 1 and 1.5 billion tonnes has been reported. The optionality to increase the scale of the operation is very valuable”. PWN has also recently invested in two companies operating within the potash sector. The first is a German firm called East Exploration, of which PWN is earning a 55% interest. EE has been granted two exploration licenses for a 450km2 potash field in Central Germany called the South Harz project. East Exploration has just released an exploration target for the project of 5,441MMT (million metric tonnes) of mineralised rock, of which up to 1,285MMT is thought to be potash. The second investment PWN has made is a 25% interest in a company that holds the license for a unique lithium carbonate producing technology, based on the K-Max process PWN has developed for its greensand operations. PWN’s technology partners Strategic Metallurgy have been helping develop the K-Max process while also creating new methods, including making battery grade lithium from mica rocks. Strategic Metallurgy have agreed to invest 25% of this application of the K-Max technology and a licensing agreement to use it has been struck with a company named Cobre Montana, which could soon be using the process and paying dues to PWN. The company says it will now pursue shareholder approval to license the K-Max process.